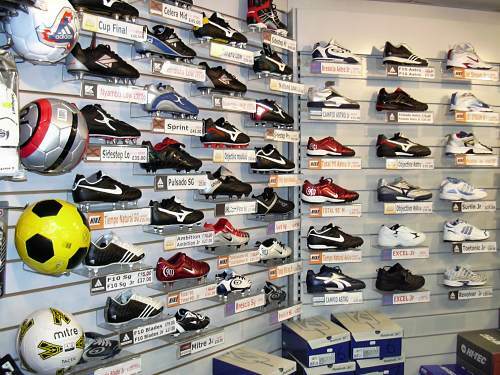 We stock a large selection of Trainers, Football and Rugby boots, covering all the leading brands in sport. 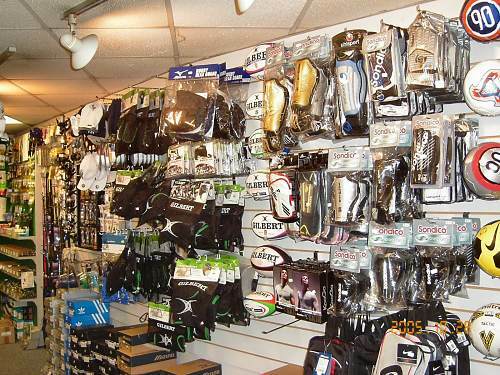 Our selection of Football and Rugby accessories is extensive, and includes balls, body and head armour, shin and mouth guards, socks and much more. 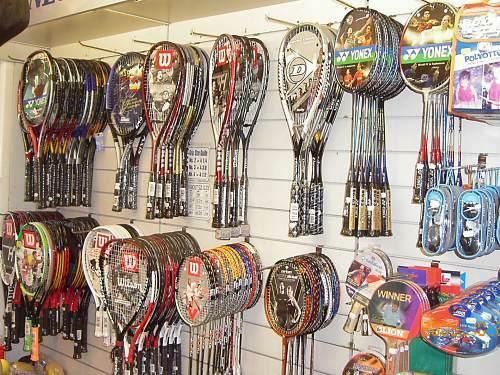 We have a large selection of Tennis, Squash and Badminton rackets, along with all of the additional equipment needed in racket sports. Swimwear and all of the necessary aids that go with swimming are available all the year round for the regular and not so regular swimmers. Our selection of Sports Injury supports is second to none and caters for most injuries that need this sort of thing; most of our business in this direction comes on physios' recomendations. 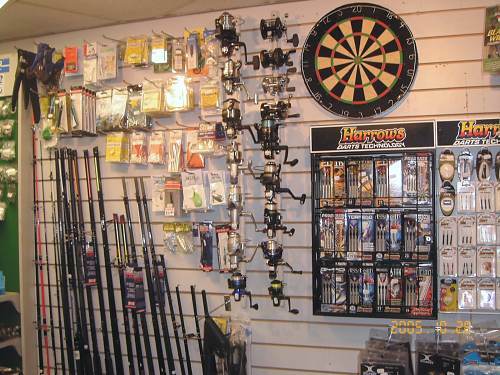 As well as outdoor sports equipment, we also offer an extensive range of Darts and accessories along with Snooker cues.